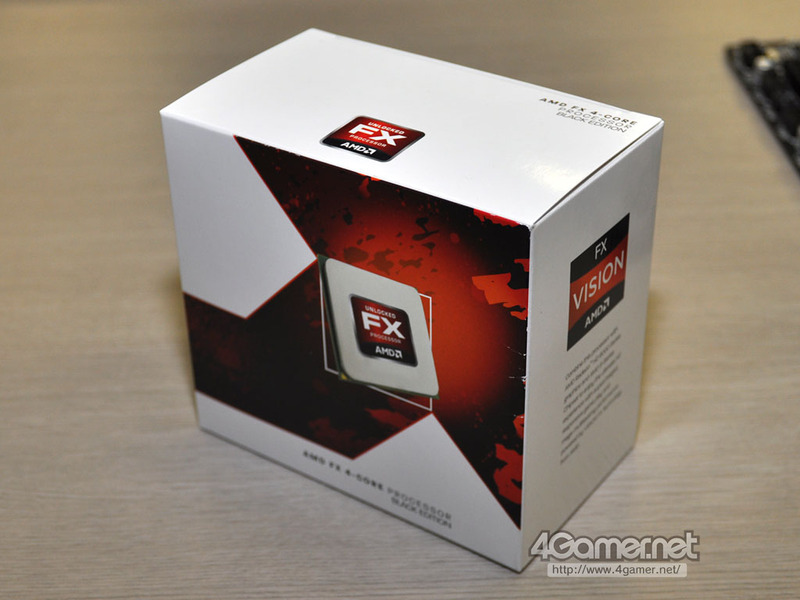 AMD has officially released new slides which detail its upcoming Bulldozer CPU’s which will fall under the AMD FX Brand Logo as announced today. 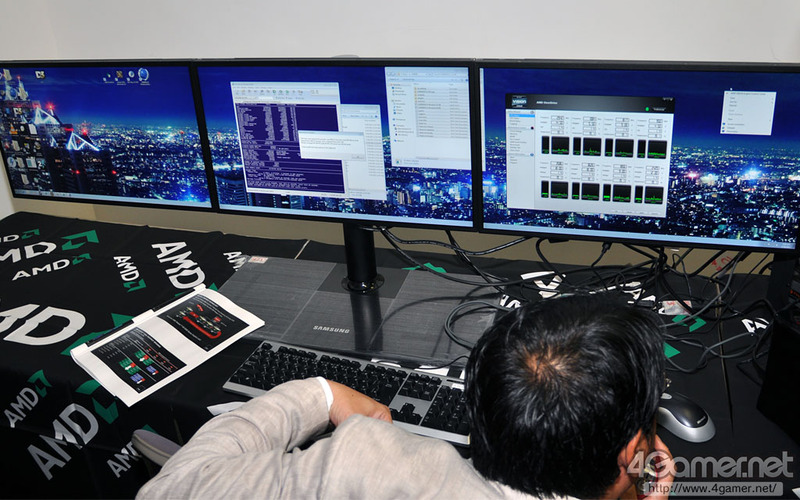 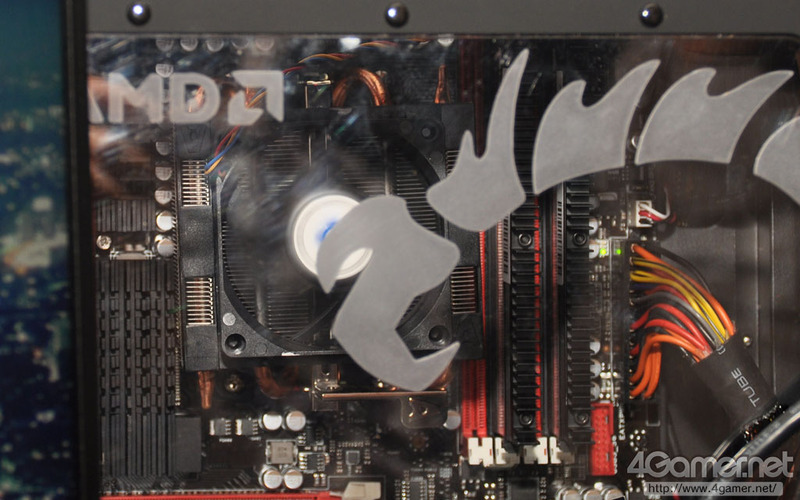 The Bulldozer (Zambezi-FX) Processors would be the first Native 8 Core Processors available for desktop usage featuring Advanced Turbo Core technology which can pump up the clock frequency when PC usage is high. 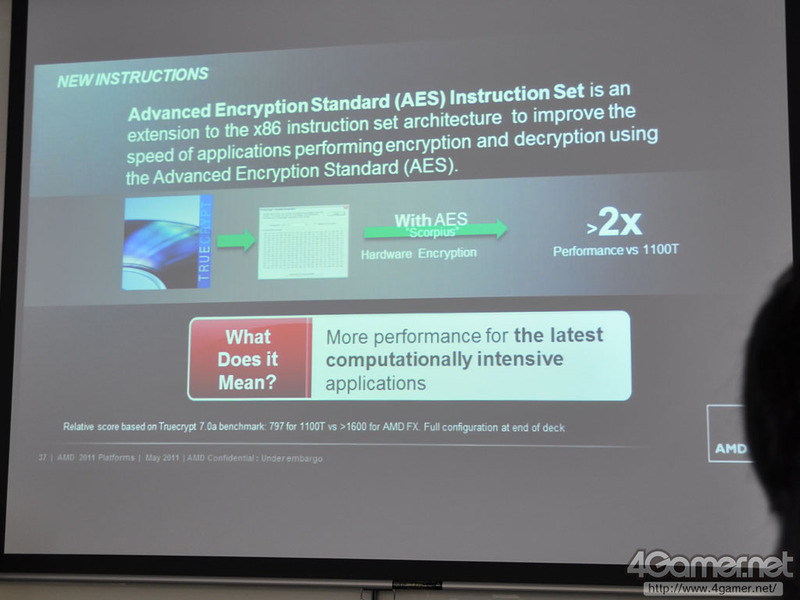 The new processors allow upto 2x the performance versus the previous Phenom 1100T processors because of the AES Instruction set which makes Encryption and Decryption faster allowing speed improvement in multiple apps. 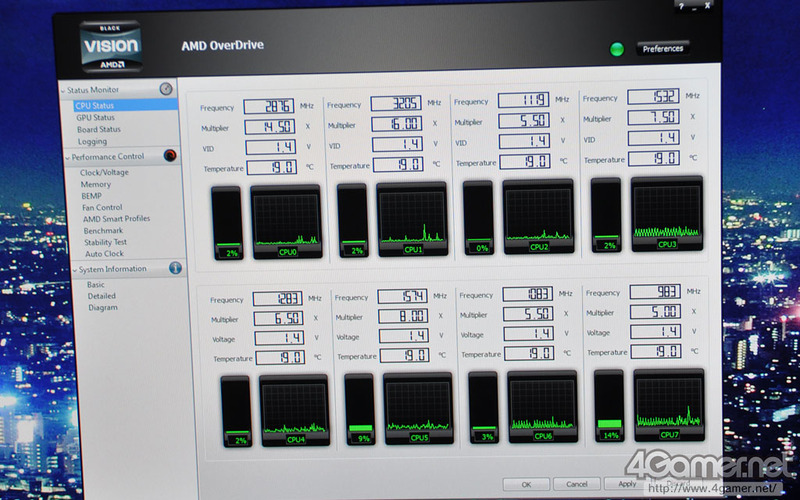 The reduced power consumption allow bulldozer to feature top of the line price vs performance ratio maximizing performance per watt. 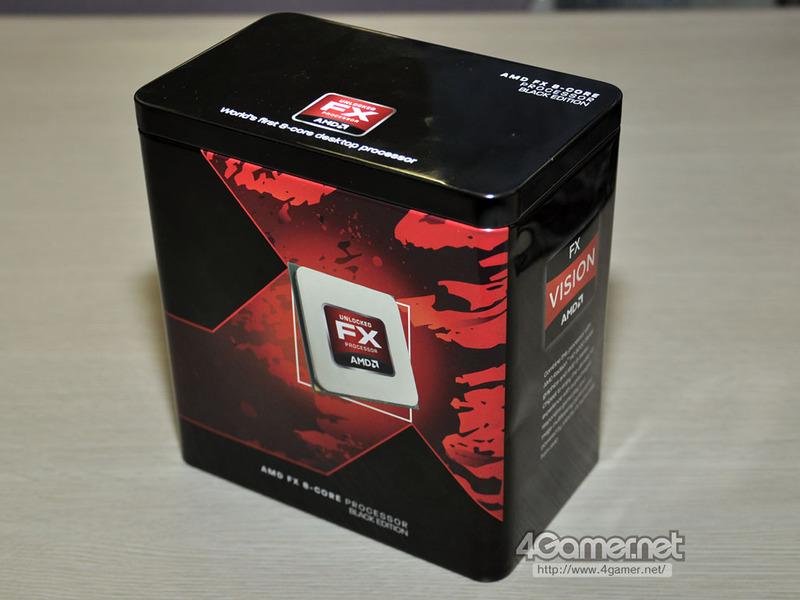 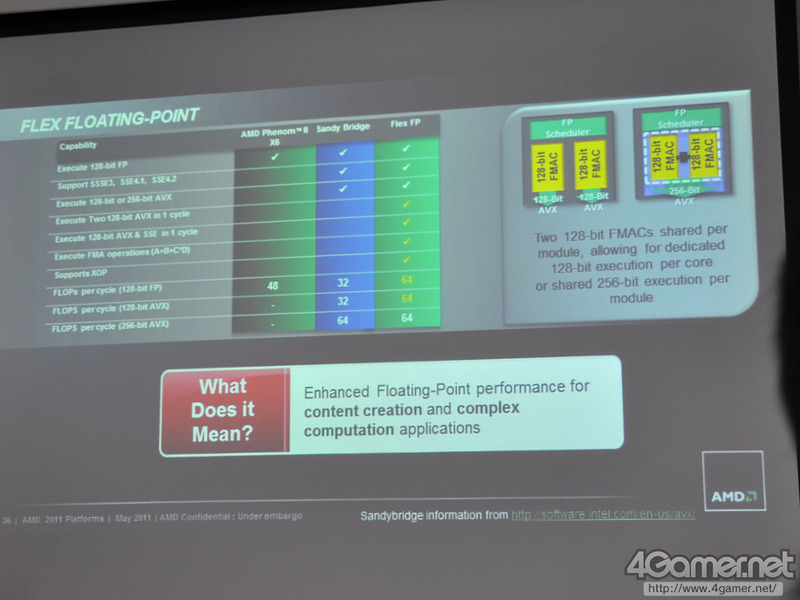 Packaging of the FX-Processors was also shown at the event, The 4-6 Core variants will be boxed in the standard carton packaging while the 8Core (Black Edition) CPU’s will be available in Tin boxing. 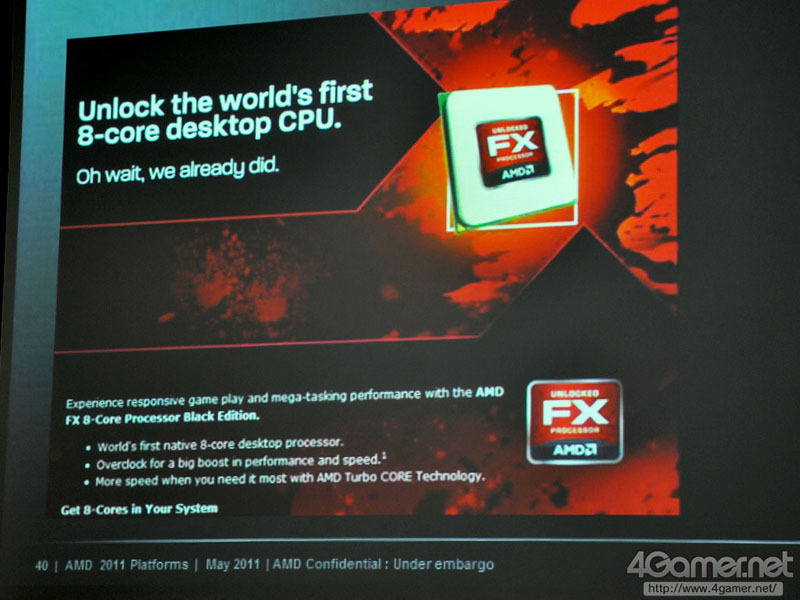 All Processors will include an Unlocked Multiplier and would be compatible with AM3+ Socket motherboards featuring the AMD 990FX Chipset.